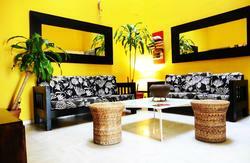 HostelOne Sevilla Alameda is a small hostel with a friendly atmosphere. We're located in a typical Sevillian mansion just a couple of blocks away from the river and right next to a huge pedestrian street full of bars and restaurant terraces. Young but experienced staff will attend you in any matter, from tourist information to hidden spots. There's a cosy common area with comfy couches where you can chill out or take a look at our city guides. Plenty of computers with free internet and Wi-Fi will allow you to keep in touch with friends and family as well as planning your next destination. Our fully equipped guest kitchen is at your disposal and there's a supermarket close by if you're interested in saving some money. 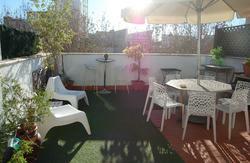 We also have a terrace on the roof where you can enjoy a cool beer. 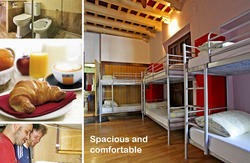 Try Hostel One Sevilla and make your trip to this wonderful city an unforgettable experience. Hostel One Sevilla is located on c/Jesus Del Gran Poder 113. From Airport: Take the bus (4.00 ) to Plaza de Armas bus Station. From Plaza de Armas bus station: 15-20 minutes walking!. when you leave the bus station, you should walk left into Calle Torneo (the river should be on your left). After a 10 min walking, you'll arrive to the barqueta bridge, cross the avenue and take Calatrava street, the third corner on the right is our street, Jesus Del Gran Poder, and 100 meters along the street is the hostel, number 113. From Santa Justa Train Station: Take the first avenue (Avenida Jose Loguillo) on the right. There is a bus stop 50mts away where you can take a bus No: C2 (1.40 ), get off at, La Barqueta (before the bridge). Cross the avenue 'Avenida Resolana', and take a tiny street called 'Arragel', and at the end of the street, take Calle 'Calatrava' to the left, the third corner on the right is Jesus del Gran Poder, number 113 is 2 minutes away from there. From Prado San Sebastian bus station: Getting out from the station turn left and walk until you get to the first Avenue called Avenida Menndez y Pelayo.Turn right onto this Avenue and about 50mts you find the bus stop for the bus C4.Take the bus and get off at, La Barqueta (before the bridge). Cross the avenue 'Avenida Resolana', and take a tiny street called 'Arragel', and at the end of the street, take Calle 'Calatrava' to the left, the third corner on the right is Jesus del Gran Poder, number 113 is 2 minutes away from there.